The purpose of this document is to provide a system for when a disaster or hazard is threatening the safety and security of the college community. Natural or man-made hazards can affect Bellevue College and pose an actual or potential threat to the public. 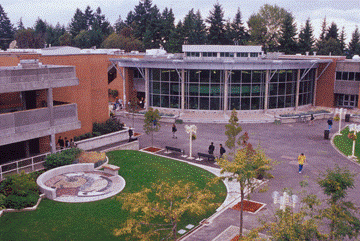 This Crisis Communications Plan provides guidelines for communicating within Bellevue College, as well as to media and the public, in the event of an emergency, crisis. This plan details processes, roles, and responsibilities for Bellevue College’s Crisis Communications Team and may be used in conjunction with the Bellevue College Comprehensive Emergency Management Plan (CEMP). This plan covers all Bellevue College campuses, including Main and North Campuses. Protection of life: includes students, faculty, staff, and the general public. Stabilization of the event: includes isolating the incident and securing the area, then determining a course of action. Assessment of damages: includes evaluation of buildings and grounds. Protect college property and the surrounding environment: includes preventing further damage to Bellevue College property, assets, and the surrounding environment. Restoration of operations: includes establishing priorities and implementing continuity of operations plans to return to normal operations. The Bellevue College Crisis Communications Plan will be evaluated annually to ensure personnel are aware of response actions and plan changes. Key staff will participate in exercises to improve skills, evaluate plans, and provide recommended changes for plan improvements. Following emergency events, After Action Reports will be developed to determine areas of necessary training and edits to the Crisis Communications Plan. People who become aware of a potential crisis or emergency must contact the Campus Public Safety at ex. 2400. Public Safety may invoke this plan and convene the Crisis Communications Team for all incidents on campus that could have an impact to operations or safety. In the event of imminent threat of danger it is advised that 911 is called prior to Campus Public Safety. Timeliness is essential in communicating crucial information to the College community and the news media. The Crisis Communications Team will be assembled as quickly as possible. Based on the timing, location, and severity of the incident(s) or event(s), this may occur either in person or virtually. Any member of the Crisis Communications Team may convene the group and should be lead by the highest ranking or most knowledgeable personnel. In the event of an imminent threat to the campus community, the Crisis Communications Team activation may be skipped and a BC Alerts campus notification will be sent out to the campus community to provide emergency instructions or information. Once the message has been sent, the Crisis Communications Team will convene as soon as possible. All incidents, emergencies, or crises that may cause disruption to normal campus operations or have a high level impact on Bellevue College shall engage the Crisis Communications Team and be documented appropriately. In all employee OUTLOOK (mail), under HOME go to NEW ITEMS and SKYPE MEETING…there will find the phone number and your individual CODE. Once the Crisis Communications Team is on the call, a briefing will be conducted to provide situational awareness of the incident and determine further action. Team Lead: The Team Lead will be designated by the core group of officials and is generally the highest-ranking official who has direct knowledge of the events, or the Director of Public Safety or designee. The individual selected to participate as the Team Lead will be based on the nature of the incident and have the highest credibility and understanding of the events surrounding the crisis. Other officials may fill in for these individuals if the crisis is prolonged, but they should not be the initial responders to the general public, the media, or the campus community. Fact Sheet: As soon as possible after stabilization of the incident, a fact sheet may be prepared to supplement communication with key constituents and information provided to reporters by the designated spokesperson(s). It will be approved by the Vice President of Administrative Services or their designee, and checked for accuracy by those with a direct knowledge of the crisis. Fact sheets released publicly or posted to the internet must be approved and time stamped, as well as updated with information changes. Alerting the Media: The Public Information Officer (PIO) or their designee should decide on the best way of reaching news media. In cases where a crisis is likely to be prolonged and/or particularly complex, the PIO may create a Joint Information Center and/or media briefing center to coordinate the information flow and ensure that the right people are involved in collecting and disseminating information. Consideration should be given to appropriate media staging locations that can accommodate vehicles such as satellite trucks. Communication with media must occur frequently, as new information is known. Information from news briefings may be captured in audio and video and posted to the internet along with fact sheets. In the event of a large or complex crisis, the Bellevue College webpage (bellevuecollege.edu) may be replaced with an informational page related to the incident. All emergency alerts sent will also appear on the page. Effort will be made to monitor news coverage and correct any significant inaccuracies, either in those media reports themselves or in material distributed by the college. In general, the college will welcome reporters and allow them as much access as determined necessary by Public Safety and the Executive Board. PIOs will facilitate access to key individuals and respond quickly to requests, if possible. The Crisis Communications Team may be called, along with other responding parties, to assist in the After Action Report or debrief. This will occur within 48 hours, excluding weekends and holidays, of the incident or crisis. The Bellevue College After Action Report template will be used, and the report will be sent to the Vice President of Administrative Services or designee upon completion to share with appropriate parties. BC Alerts is a communication tool that is used to send e-mails, text messages, RSS posts, and updates to the College’s homepage. RAVE is hosted offsite, so it is not impacted by network outage on campus. The communication system allows for Public Safety to deliver notifications in an efficient manner to those who may be impacted by emergency incidents. BC Alerts includes an application that is capable of transmitting messages to all campus IT issued desktop computers that run on Windows 7. Alerts sent through this application are immediately visible on the screens of all computers capable of running the application. Campus IT issued Macintosh computers, laptops, and OS X or Windows 8 computers are not yet supported by Alertus. This public access system uses two large megaphones mounted on building rooftops and facing inward, allowing Public Safety to transmit voice messages to the Campus. Many departments at Bellevue College use radios to communicate among themselves for day-to-day operations. In the event of an incident, the “EM Talk” radio channel may be used to broadcast messages. This channel is used regularly by Bellevue College Safety Leads. Social media sites (Facebook, Twitter, etc.) will be updated accordingly by the PIO or a member of the Institutional Advancement team. Any messages provided via social media should be previously approved by the Incident Commander. For non-emergency safety concerns such as lights out in parking lots; broken or loose tiles in court yard; shrubbery overgrowth obstructing view at parking areas exits, etc. please contact the BC Safety Committee.